Retail price is set at $5950 USD. 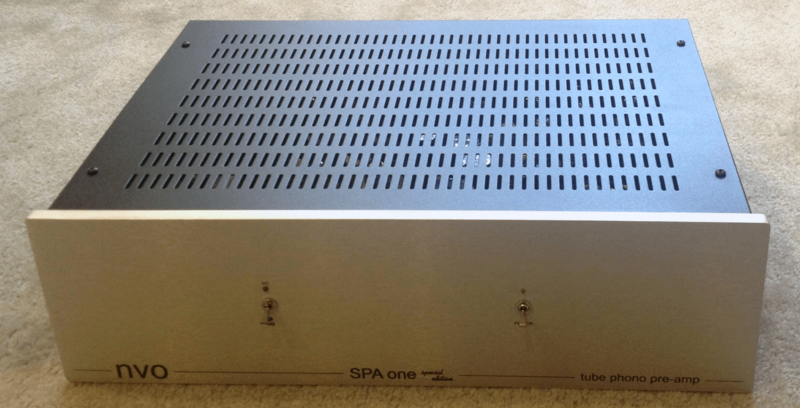 Although it comes in at about 60% of its’ big brother’s cost, US distributor Steven Klein (Sounds of Silence) informs me that the SPA One SE compares very closely with the SPA Two SE. This is really an all-out preamp, with no holds barred and only a few concessions to cost considerations (when compared with the SPA Two SE). NVO advises that V1, V4, V5 and V6, all being in the audio signal path, are the most obvious candidates for tube rolling. I made them green here for simplicity. NVO can provide Psvane or NOS tubes (as available) in these positions for a moderate upcharge. I’ve owned a couple of big tube phono preamps over the years, namely a Counterpoint SA-9, and a BAT VK-P5. I can appreciate what goes into the design and execution. So the prospect of a large package arriving from Cyprus in mid-winter had me excited. 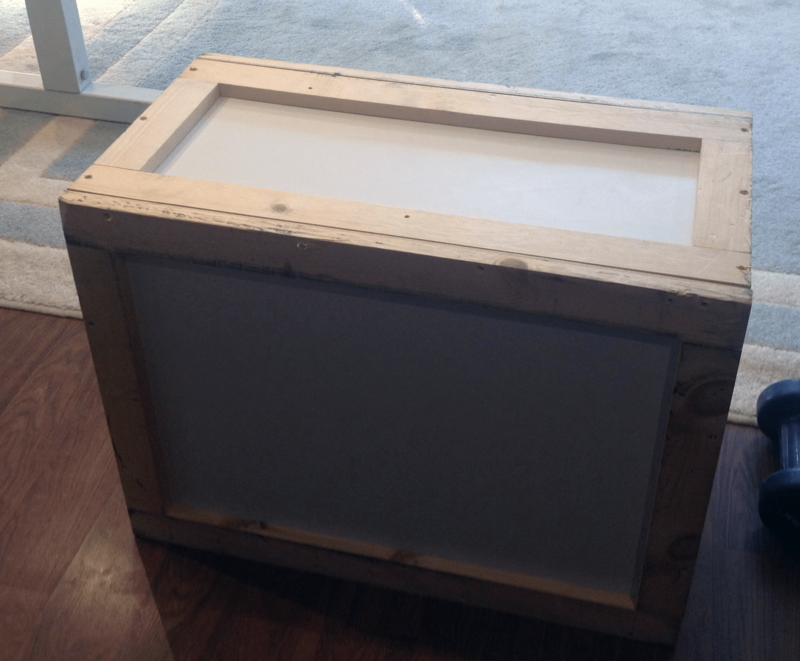 The SE arrived in a big, secure crate, extremely well-packed, and opening it was a joy. This is a serious piece of audio gear, not in any way ostentatious, but oozing with build quality, and with the promise of high performance. I was not to be disappointed. Since the crate orients the preamp “on its back”, Panikos suggested I check that all the tubes were firmly seated before powering it up. This gave me a chance to look under the hood, and admire the quality of parts, the circuit boards and excellent overall layout. Everything looked outstanding. Tubes provided were a mix of new production and some old stock (GE). For this review I didn’t roll any replacement tubes in during the review period. So, you’re banging the screen by now, dying to know how this thing sounds….. In a word, the SPA One SE sounds fantastic. It operated flawlessly for me every time I used it, and delivered the sonic goods. Noise floor was acceptably low, obviously not “inky-black” like a top notch solid state preamp, but remarkably close. Microphonics were also very low. I never heard a trace of hum or other noisy artifact from this unit. 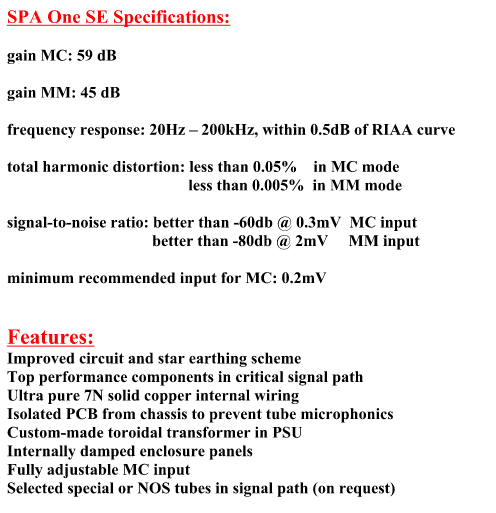 I don’t know how NVO measures signal-to-noise ratio, but the 60dB figure quoted for MC seems very understated to me. I never encountered a transient peak (music signal) that ever ruffled the SE’s feathers, or caused audible distortion. I would have guessed S/N to be closer to 75dB. This preamp always performed well, and satisfied my (high) expectations, often exceeding them. I would characterize it sonically as a “warm scalpel” – the presentation is very neutral, yet never clinical, etched or dry. It’s perfectly balanced, with just that little hint of warmth that our ears crave. Presentation of the soundstage followed the same pattern – generous, but never exaggerated or artificial. This, folks, is what your records should sound like. 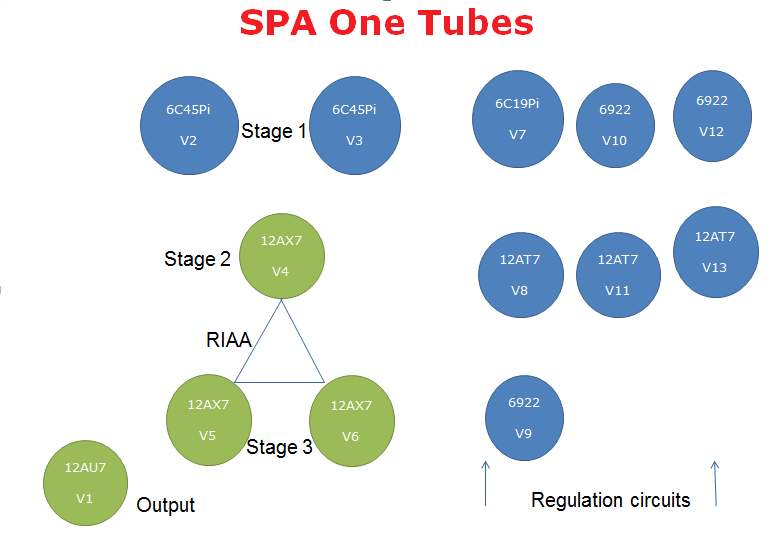 The SPA One SE uses only one set of load resistors at a time, and these are provided in the form of RCA plugs. This is a very elegant method and certainly meets the “sonic purist” criteria, even if it’s a bit less flexible than dip switches. So after discussing the cartridges I had on hand for the review, NVO prepared three sets of resistors and included them in the crate with the SE. Note that for lower-gain (or “Moving-Magnet”) operation, the load resistors have to be removed. One should use common sense and make sure the system is turned off when removing or swapping the load resistors. The resistors worked as they should and there were no surprises. The 194 Ohm pair were best with the Charisma Audio Reference One, while the 280 Ohm were “right” for my Denon DL103. In both cases this works out to about 10-15x the cartridge’s internal impedance. Something closer to 500 Ohms might have been even more suited for the Denon, but I didn’t feel the need to experiment further. As stated, overall operation was completely glitch-free in the two and a half months I spent with this unit. A few miscellaneous notes. There was no owners’ book included; I assume this was still in development when NVO shipped the SE to me. Panikos and I exchanged many emails, and I would expect customer support to be absolutely top notch. The nice Tonar footers are glued on, these are similar to those from Audio-Technica also marketed under the Realistic brand (RS Japan). When I went to inspect one of the footers more closely, it came off. I just glued it back on. The whole chassis is very well-damped, as can be seen in the photos. Users should wait until the SPA goes through its’ power-on cycle before turning on your preamp/amp. It takes about 15 seconds. 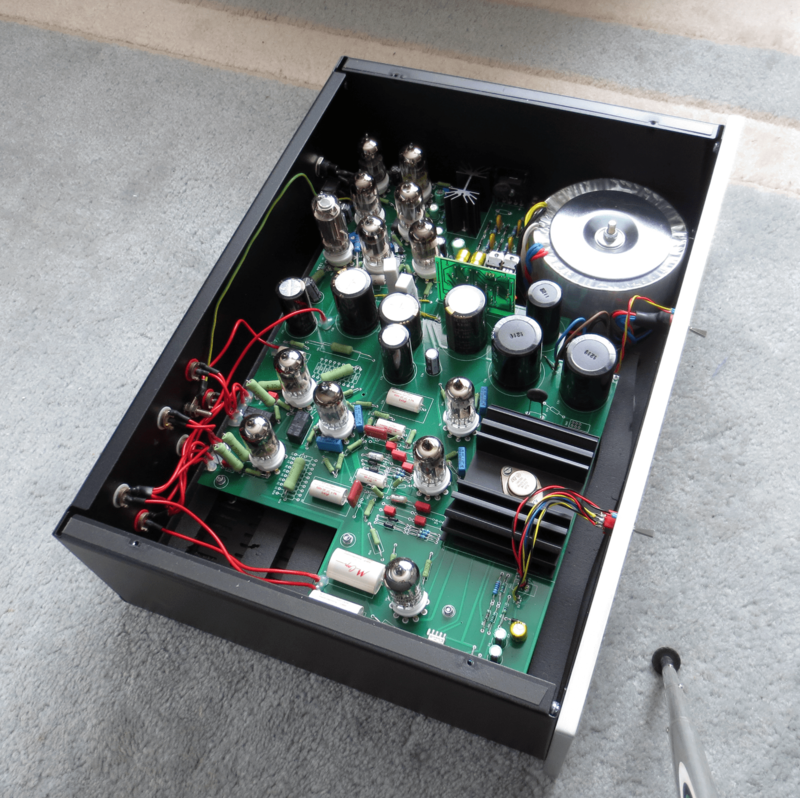 Importantly, the power supply capacitors store a lot of energy, so let your amp/preamp drain after turnoff (about 30 seconds to be safe) before shutting the SPA off; otherwise you can expect a nasty thump from your speakers. Coming back to the performance. The SPA One SE afforded me the opportunity to make the most of the Reference One MC, as well as my better orchestral recordings. 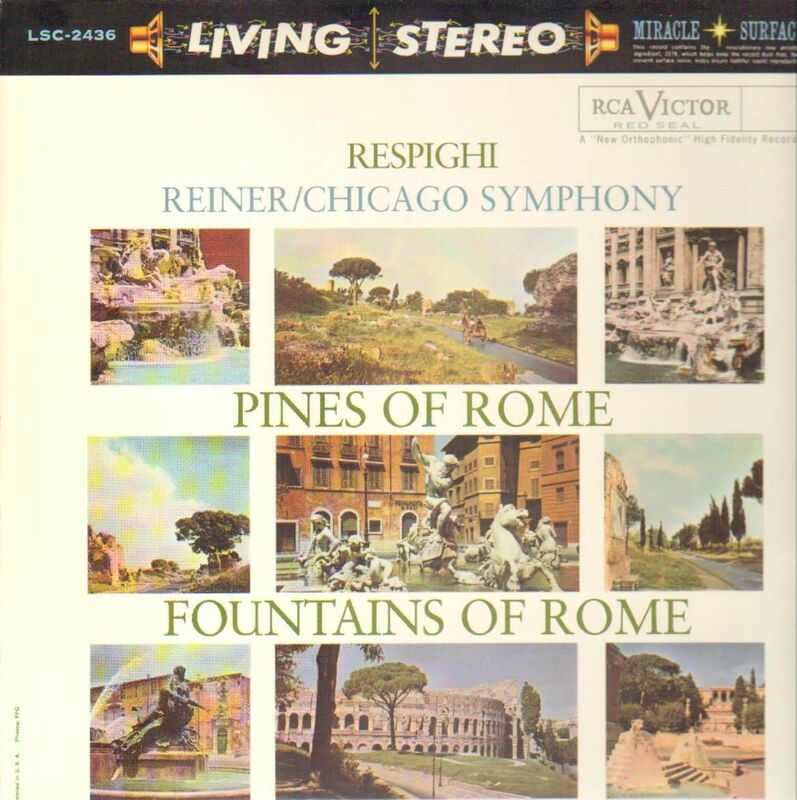 Respighi’s Pines of Rome/Fountains of Rome (RCA LSC-2436 Analogue Productions) was so full of colour and verve, with great spatial cues giving more of a ‘visual’ insight on Chicago’s Orchestra Hall than I’d heard before. 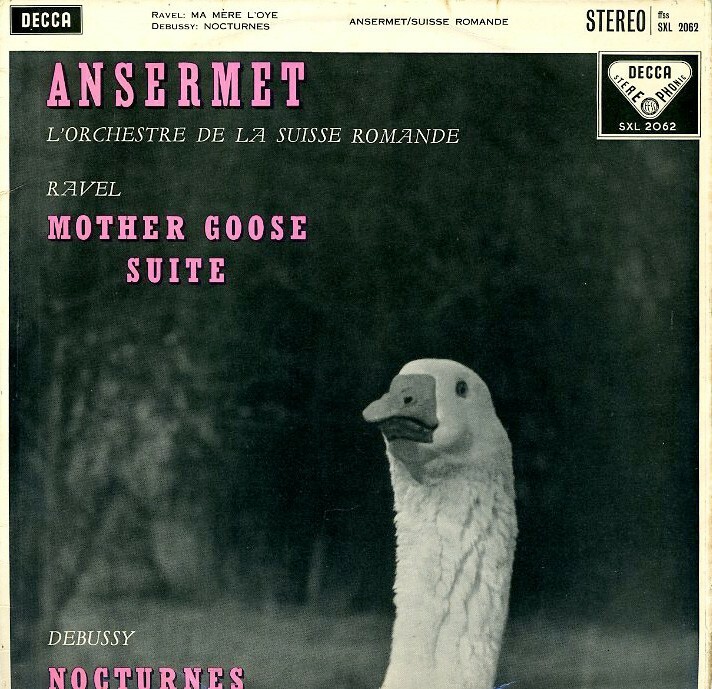 Ravel’s Mother Goose Suite (Decca SXL2062 Speakers Corner) brought similar goosebumps. Portions of this piece bounced along with real, palpable rythym – thanks in part to how well the NVO preamp handled the attack and decay of notes. Vivaldi, Beethoven, Mahler, Tchiakovsky, all of my favourites were well-served. Would you care for some sheer bombast with your nuanced delivery, sir? 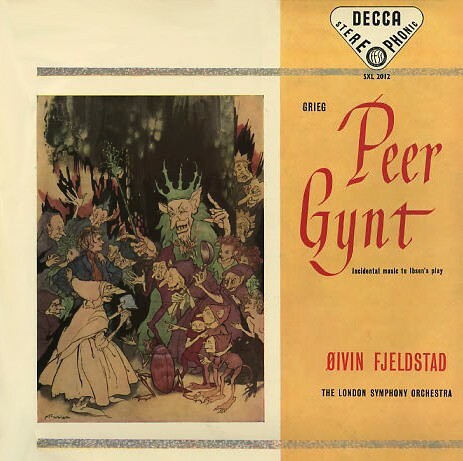 I spun Grieg’s Peer Gynt a number of times (Decca SXL2012 Speakers Corner) and was amazed at the SPA One SE’s capacity to serve up huge swells, crescendos, tuttis, drum hits – if it doesn’t faze your cartridge, this preamp is very happy to deliver huge swings in dynamic range, instantaneously. Honestly, pieces like Peer Gynt and Mussorgsky’s Pictures At An Exhibition never sounded so real in my home. And for me, that’s where a big phono preamp like the NVO really shines. I’d never tell anyone what kind of music to listen to, apart from the occasional “man, you gotta hear this!”. But with the most demanding orchestral works, using a high-end analog system seems to bring an endless stream of new pleasures with nearly every listen. The shading of colours are more nuanced, microdynamics are clearer and more focused. Orchestra sections, and individual instruments, become entities, yet still part of a collective whole. You can begin to hear and appreciate the composer’s sensibility, and even the conductor’s intent (with works that you’re more familiar with). So it was with the NVO. It played my vinyl with presence, clarity and beauty. It wrung more detail from my reference Teres turntable than I’d ever heard. It made my cartridges sound their best. Just about every record I put through the SE sounded brilliant. It didn’t make terrible recordings sound good, but it did in some cases make them seem more interesting. A note on step-up transformers. I experimented with a borrowed pair of Altec 4722’s, and in some informal back to back tests I really heard no significant differences between the Altecs and the MC section of the NVO. This gave me some pause. I thought of three possible causes, or factors: 1). 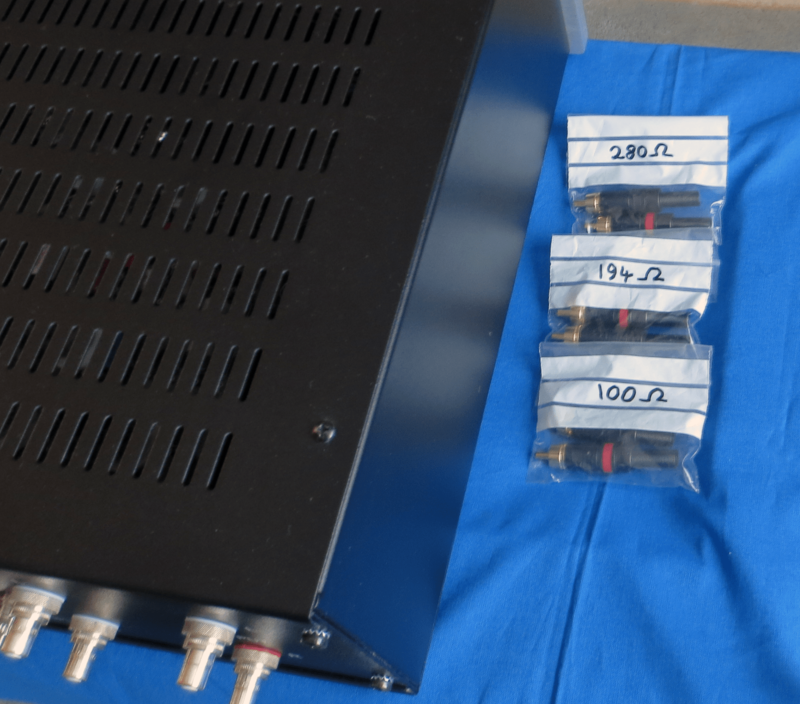 The Altecs, which are worth about $500 today, do such a splendid job with signal gain and impedance matching that they rival NVO’s high-gain stage very closely. 2). It could be that the potential gain in S/N (from using the SUT’s with the MM gain section) were negated by the use of another set of interconnects. 3). It could be that my system just wasn’t resolving enough to render the sonic differences in an appreciable way. Or, my ears? Who knows. It was hard to spend a lot of time worrying about such questions when so much sonic bliss was on tap. 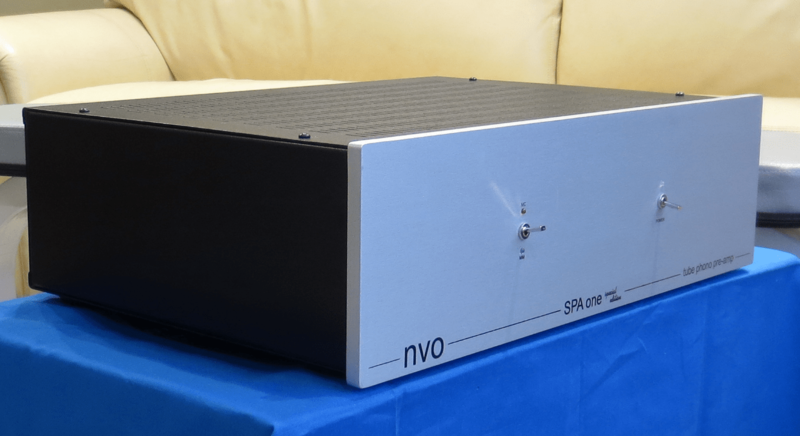 In the end, I found the NVO SPA One SE to be a superb phono preamp, and one that I could happily live with for the rest of my life. What I can’t say is how it would compare against similar, current units from Aesthetix, Hagerman, Ypsilon, and the like. 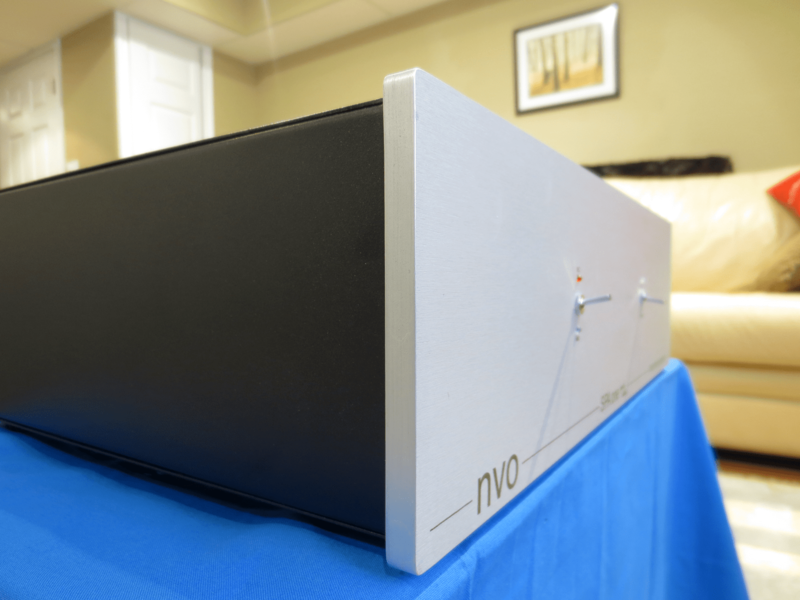 What I can say is that I believe the NVO offers outstanding sonic performance, trouble-free operation, excellent build quality, and real value in today’s market. Very highly recommended. Your review leaves me very happy and excited, to continue with my efforts for exceptional music-listening excellence. Thank you for all your honest efforts. Re: the Tonar footer. We’ll try to be more careful with this. 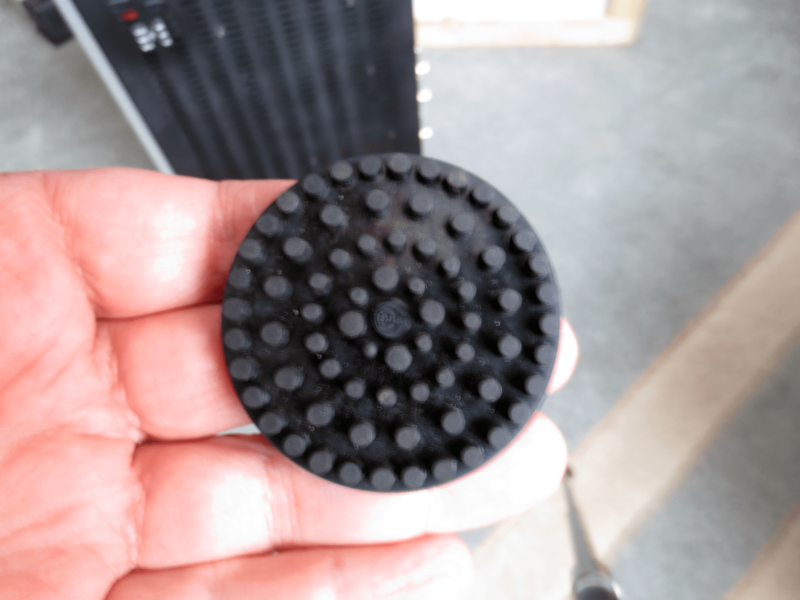 On the other hand, it was “good” that it came off and you showed it, so far no one has mentioned anything about our choice for them, and we have chosen them because they help the unit’s isolation, even compared to some higher-tech ones that we’ve tried. One more comment on isolation – the PCB is additionally de-coupled from the chassis via small rubber isolators to further protect from possible microphonics of tubes. Please note on your experimenting with step up transformers, that our phono pre-amps do not have a dedicated moving coil stage, as is the usual practice. The first stage is used by both MM and MC modes. Only the input impedance and gain are changed, to cater for the two modes of operation. In the SPA II only, a circuit change is also effected, but not in the SPA One. Therefore, using step up transformers instead of the MC stage, only improves the noise floor, which you will only need if your cartridge has a particularly low output level. Any sonic influence of the matching transformers is added to the whole experience.